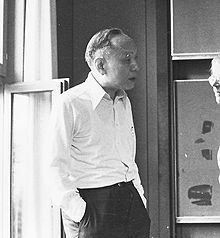 1948年，获美国National Medal of Science Israel, Wolf Prize Academician, Academia Sinica, R. O. C.
^ 1.0 1.1 12.06.2004 - Renowned mathematician Shiing-Shen Chern, who revitalized the study of geometry, has died at 93 in Tianjin, China. www.berkeley.edu. [2017-01-07]. ^ Chang, Kenneth. Shiing-Shen Chern, 93, Innovator in New Geometry, Dies. The New York Times. 2004-12-07 [2017-01-16]. ISSN 0362-4331. ^ Interview with Shiing Shen Chern (PDF). ^ The Life and Mathematics of Shiing-Shen Chern (PDF). ^ 5.0 5.1 MSRI. MSRI. www.msri.org. [2017-01-16]. ^ 17 Gauss Way | Simons Foundation. www.simonsfoundation.org. [2017-01-16]. ^ The Bridges Organization - About MSRI. bridgesmathart.org. [2017-01-16]. ^ the_technician. International Mathematical Union (IMU): Details. www.mathunion.org. [2017-01-16]. （原始内容存档于2010-08-25）. ^ Shiing-Shen Chern. A Simple Intrinsic Proof of the Gauss-Bonnet Formula for Closed Riemannian Manifolds. Annals of Mathematics. 1944, 45 (4): 747–752. JSTOR 1969302.